Home / Business / Bike registration plates to be fitted by Jersey’s bike shops? Bike registration plates to be fitted by Jersey’s bike shops? 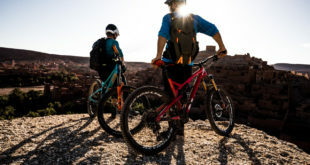 The independently governed island of Jersey is discussing charging cyclists up to £50 per bicycle to register their bikes, with an annual £5 on top. Registration would be proved by large number plates but it’s mooted that those with carbon fibre bikes and others who couldn’t easily affix a number plate would be "required to wear a high visibility belt that clearly displays the cyclist’s registration number." Phil Rondel – the Deputy of St John in the States of Jersey parliament – asked Jersey’s Transport department to investigate whether the island can resurrect its bike registration scheme from 1973. In an official document [PDF] asking for a review of the law, Rondel wrote: "Across the world, from Sark to Tonga and America to Australia, plus many European countries like Switzerland, have cycle registration." Switzerland is likely to drop its scheme because of the cost. Most American registration schemes are defunct and there’s no registration scheme in Australia. In his 23-page supporting document – of which 20 pages are appendices – Rondel included two A4 pages from the Government of Western Australia’s Department for Transport. This is supposed to be proof that Western Australia has a bicycle registration scheme. In fact, it’s an application form for a ‘I’d rather be cycling instead’ car registration plate. Jersey’s Transport Minister Mike Jackson seems to be opposed to Rondel’s ideas. In a long and detailed report, published on 9th April, he dissected the Deputy’s ideas and showed there were huge downsides to putting impediments into the way of a healthy activity such as cycling, including wider society costs of millions of pounds per year. "Introducing a cycle registration scheme would only be worthwhile if the advantages of introducing a scheme clearly outweighed the disadvantages and maintaining the status quo," said Jackson. One of the advantages was said to be "it may create additional work for cycle shops (fitting registration plates, maintaining bicycles)." However, on the flip side, Jackson said registration would be bad because "cycle shops may have reduced sales and reduced maintenance work." "An application form will have to be submitted; documents showing evidence of ownership, insurance cover, roadworthiness of the cycle and the like may be required; the relevant fee paid and receipted; details input into the system; registration document produced and posted to registered address; registration plate or security strip issued and fitted; transfer of ownership, change of name / address, loss of registration document and other significant events need to be recorded after first registration to keep the database up to date." If parishes adminstered any such scheme, "this would be additional work and it is likely that the parishes would require further resources to undertake this work," said Jackson. "Alternatively, it may be feasible that the cycle shops in the Island could administer the system, feeding into a central database. If a suitable, secure registration plate and means of attaching the plate to cycles can be found, it is more likely that cycle shops could readily fit the system than personnel at a parish hall. Similarly, the cycle should be fit for road use to be registered; cycle shop staff will more readily detect cycles that are not fit for use on the road." Jackson didn’t say how bike shops would be paid for this work. They wouldn’t do it for free, and they’re not keen on a scheme anyway, said Jackson. "Initial discussions with cycle shops have identified that providing a universal registration plate and fitting system is impractical due to the variety of styles of cycles and materials used. For example, drilling or clamping a carbon fibre frame or stem would be unacceptable and there will be practical difficulties in finding a place to affix a plate system on many modern cycles, particularly a plate that is of a reasonable size to read. 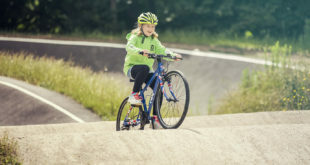 Fitting to the handlebars may just be possible but will be a hazard for some cyclists and a hindrance for others, for example mountain bikes, BMX bikes and racing bikes." The Transport Minster added: "Perhaps it should be cyclists that register and they are required to wear a high visibility belt that clearly displays the cyclist’s registration number?" Summing up, Jackson said: "The disadvantages of introducing a registration scheme appear to outweigh any advantages. In particular, a cycle registration scheme will jeopardise the success of the Sustainable Transport Policy by discouraging people from continuing to cycle or take up cycling, a healthy, zero emission pursuit that has the potential to help reduce congestion and contribute towards a more sustainable pattern of travel and transport in Jersey. "Cycle registration will create further bureaucracy and increase the financial burden on households. 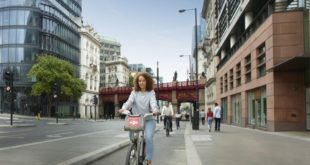 If the government is to achieve its strategic objectives related to health and travel and transport it ought to be incentivising activities such as cycling, by making it cheaper and easier, not more expensive and more difficult." Jackson said the scheme might cost £30,000 to create, paid for by cyclists coughing up £50 per bike but "the detrimental effect on the health of Islanders who give up cycling or decide not to take up cycling is likely to result in a significant cost to society in the order of tens of millions of pounds per year."